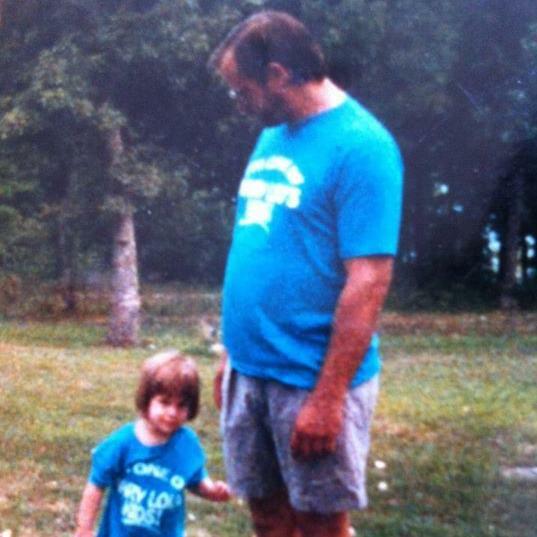 14 years ago today, my dad died. Are you all uncomfortable yet? You shouldn’t be. The subject of death is so taboo that after the initial acknowledgement of the event, we are expected to keep it to ourselves, lest we make others squirm. But for those close to death, the events that follow can be such a catalyst for profound reflection. I know it was for me. Until the last few years, I have kept it to myself and even vague-answered questions about why I feel so connected to what I do. Don’t get me wrong: I would prefer my dad not be dead. Obviously. He was a super great guy. However, this event in my life was one of the single most influential events I ever and possibly will ever endure. I had so many experiences in formative years in my life via his sickness and his death that molded me to appreciate the human connection. Specifically, the importance of human touch. I know that’s a strange segue. To explain: I had never been someone who appropriately engages emotions. This was particularly the case on what was the saddest day of my life. I can remember sitting in the hospital, knowing that I was hurting, but unable to express it. I sat silently. I watched life slip away, and just absorbed the pounding in my chest. I left the hospital suite and found an empty comfort room. I called my best friend and asked her to bring my belongings home, and informed her that my dad had died. I hung up. As I turned around, a woman approached me and expressed condolences. And then, in the most ballsy move ever, she gave vulnerable 15 year old me a hug. Something about that embrace acted as an emotional elixir. I lost it. I felt everything. I had the most sincere cry I had ever had, and oddly felt some relief in being able to just feel my circumstances. I was far from happy, but I was able to face my emotions head on. This instant was one of many that I would ponder for years to come. The woman didn’t say much I hadn’t heard. It was the human touch. I have always been a hugger and a snuggler, so in a lot of ways, I just assumed that physical touch was healing specifically towards me. Some consider physical touch their love language. However, as I progressed through my education, the topic of healing and its tie to touch was something that would show itself over and over. I took a quick dive into the clinical sector of physical medicine and saw this tie more and more. Since then, I have networked with many physical therapists, athletic trainers, massage therapists and chiropractors. If they agree about nothing else, they all report that at times, the impact of just touch alone seems to accelerate healing in patients. I have had numerous massage therapists report that often clients become emotional during therapeutic massage. While emotions are extremely intangible, there seems to be a good emough of research on the matter. Harry Harlow was an American psychologist who studied a variety of social-interaction phenomenon’s. He took particular notice of the increased mortality rate in infant orphans during WWII despite their relatively safe circumstances. His work concluded that the infants were suffering from a lack of human touch, and thus a lack of comfort. As infants lack communication skills, they often resort to physical communication and comfort. Without this, their will to live and health plummet. – Human touch for infants improve weight development as well as mental and motorskill development. – Touch (from trusted individuals) reduces the heart rate, relaxes the mind and increases attentiveness. – touch can reduce muscular tonicity and result in a healthier musculoskeletal system. Anecdotally, I find it fascinating to see people melt into hugs, as the only language a hug presents is one of love. And while my initial realization that this may be a factor came at a time when I was hurting, I am glad it occurred. My life changed dramatically as I was able to explore this phenomenon and it led me here: a career and life in the world of physical well being. So, so true, Annie. You received a profound gift and have not wasted it. How sad it is to me that touch is becoming taboo in education. Allowing the screen to invade every aspect of our lives seems to be removing nurturing interaction to the point that every touch is met with suspicion or fear. If those we love and trust don’t teach us through their touch, well, no wonder. How distressing that is! You have shared some wonderful insights that are as significant to us single seniors as they are to babies. Thank you!